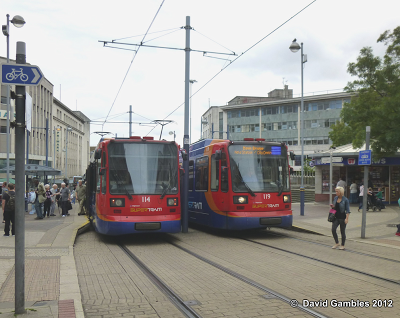 Sheffield’s tram network is to get a multi-million pound investment to protect the long-term future of tram services in the city. Tram network owner South Yorkshire Passenger Transport Executive (SYPTE) and system operator Stagecoach Supertram are to fund a major programme of rail replacement works on the network, with the majority of work being undertaken during the next five years at an estimated capital cost of £32million. The engineering work will replace worn out sections of the tram track and is essential to protect the city’s tram network for the future. The project is made up of infrastructure costs as well as other consequential costs associated with the work. As infrastructure owner, SYPTE is investing in the track renewal work. South Yorkshire Supertram Limited (SYSL), part of Stagecoach Group, will contribute to the infrastructure work, cover any reduced passenger revenue associated with the temporary service disruption, and will fund the extra resources required to deliver the tram replacement bus services while work is on-going. SYPTE is also waiting to hear the outcome of a £5million bid to the Department for Transport’s Local Pinch Point Fund to help fund the project. The first phase of replacement work is due to get underway in late June/early July on the section of track between Spring Lane and Park Grange Croft tram stops. During the work – which is expected to take around 12 weeks – trams will be replaced by a dedicated bus service to ensure minimal disruption for passengers. Around 20 years after the track was originally laid, large sections of rail are close to being life-expired following years of use by trams as well as wear and tear caused by heavy road traffic. Measures taken by Supertram engineers have already extended the lifetime of the track by as much as five years. However, despite that, around 22km of the tram route needs the rail replacing by 2024. 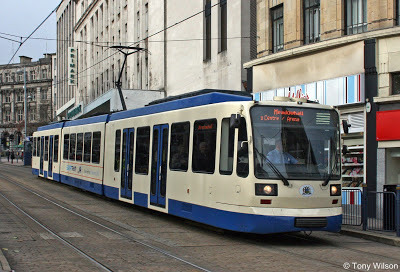 The work being carried out will be aligned with the planned tram train pilot project which was announced by the Department for Transport (DfT) in May 2012. The project, which is expected to be in operation by 2016, will see a new tram train link –operated by Supertram - between Sheffield and Rotherham. The rail replacement work being carried out on the Yellow Route during the summer will form part of the tram train project. Stagecoach has operated the system since 1997 on a contract which runs until 2024. The company has turned it into a successful tram network which is now used by around 15million people every year. Supertram Managing Director Margaret Kay said: “These are essential works for the Supertram network and for everyone who uses our trams. We understand that our passengers may find it frustrating at times while work is being carried out, but we are working hard to minimise the level of disruption our customers will face. We will be providing detailed information about the planned work and the contingency arrangements that will be in place”. “We are committed to delivering the best possible tram services for our passengers and to do that we need a fit-for-purpose network. This project is vital in helping us to continue providing a high-quality transport option for people across Sheffield. We are also pleased that the joint investment being undertaken now will benefit customers and the city of Sheffield many years after the end of our current contract to operate the system." Once the replacement work is complete, it is thought that the new rails – made from harder wearing steel - will have a life-expectancy of 25-30 years. Other tram networks in the UK also require track renewal projects to be undertaken periodically due to the nature of what is known as the embedded rail. 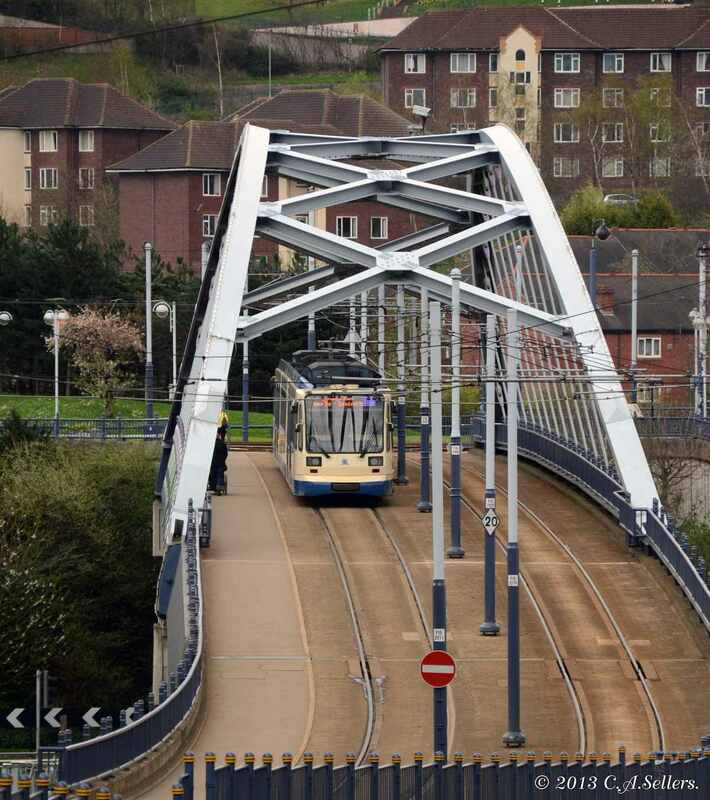 Embedded rail is used on most UK tram systems and tends to have a limited life expectancy. For example, Manchester’s Metrolink system and the Croydon tram network have previously completed rail replacement works. Stagecoach Supertram operates on three tram routes in Sheffield, covering 29km.